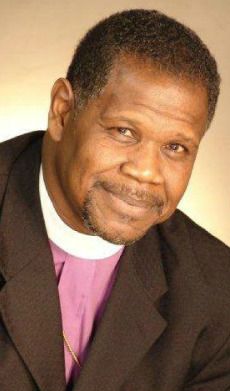 Pastor, teacher, dynamic preacher, prophet, philanthropist, community advocate, distinguished leader, as well as a devoted husband to Dr. Edith L. Wallace, father and grandfather, Archbishop Thomas E. Wallace has assumed his predestined place and has proven himself to be a multidimensional man after God’s own heart. Archbishop Wallace, a native Houstonian, attended and graduated from Phyllis Wheatley Sr. High School; earned a Bachelor of Arts Degree from the University of Iowa in 1971; a Master of Arts Work in Counseling Psychology from East Texas State University in 1973; a Master of Divinity from Interdenominational Theological Center in 1978; a Doctorate of Ministry Work from Perkins School of Theology in 1983; a Doctorate in Theology from His Excellence Theological Seminary in 2007; and a Doctorate of Divinity from St. Thomas Christian College in 2009. Although majority of his ministry was spent in the United Methodist Church, Archbishop Wallace felt called to widen his spiritual parameters to reach people across denominations and social economic lines. In this effort, he stepped out on faith after 27 years and started the New Oasis of Faith Cathedral in 2003. His spirit of excellence coupled with his uncompromising approach to God’s Word has allowed him to effectively impact the lives of men and women so they can walk into their destiny. He is a community advocate and understands the importance of meeting people at their place of need. Under his direction and guidance, Restoration Assistance Ministries was birthed as an ecumenical ministry made up of a coalition of churches. The main focus is on assisting the ex-offender, unemployed and under-employed in becoming re-inculcated into the local community through providing access to food, counseling, housing assistance, transportation assistance, economical development, vocational training and job placement. Archbishop Wallace is no stranger to hard work and giving back. He serves on numerous boards and represents God in a whole new light. His latest work is to help Christians understand the plight of believers who are being persecuted worldwide for standing up, preaching or teaching the Gospel, and to partner churches and ministries with the international churches and ministries that are need of our prayers, resource, and support. Through all of this, Bishop Wallace has remained a humble, faithful servant to his original calling of winning souls for the Kingdom. His commitment to the body of Christ is unprecedented. His anointed ministry imparts restoration and revelation, which ultimately leads to manifestation. If you would to book Archbishop Thomas E. Wallace for a speaking engagement,please click the forms tab and then the speaking engagement tab.